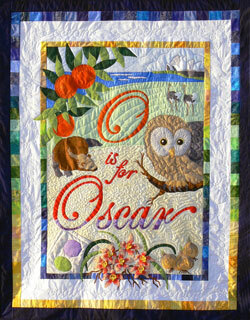 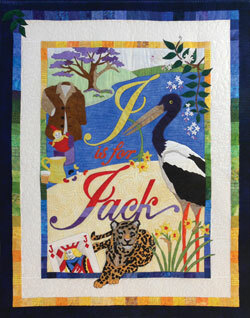 If you love to applique then this popular series of quilt patterns and kits is for you! 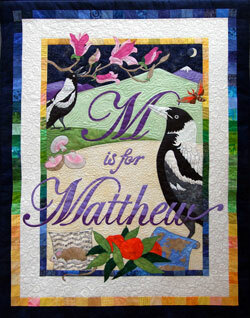 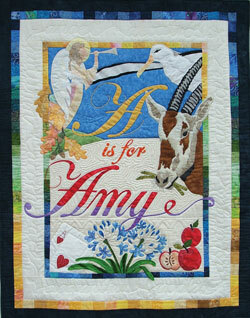 Every letter of the alphabet has its own special quilt designed with pictures that start with the same initial. 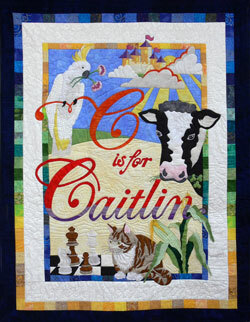 The colourful realistic images will appeal to any age or gender creating the perfect gift suitable for Birthday, Christening and Christmas gifts. 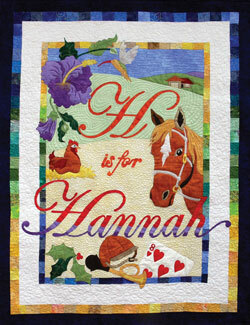 Pattern Pack $45 ea includes GST & Post/h in Australia. 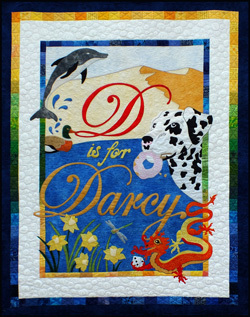 Each letter is available in a separate pattern pack containing: One piece, full sized pattern, complete lower case alphabet, detailed instructions, colour reference and fabric swatches. 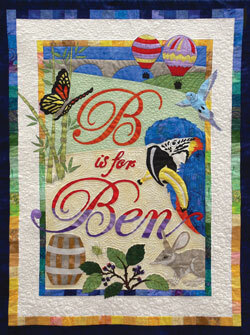 Kit Packs contain all fabric required for the quilt top, borders and binding plus the Pattern Pack.